, for all of our sakes, stop the dieting on your show. It tells way too many women that it's okay to go on unhealthy yo-yo diets. Maybe Dear Oprah is too formal. I'm writing this open letter to you because I've run across thousands of women that love you. This is tough for me to write because you are doing so many awesome things for people all over the world. I'm the director of a documentary called "America the Beautiful," which deals with our unhealthy obsession with beauty. I've interviewed 2000 women over a six-year period about how they feel about themselves and, as I'm sure you know, the results weren't pretty. All of that being said, here goes. 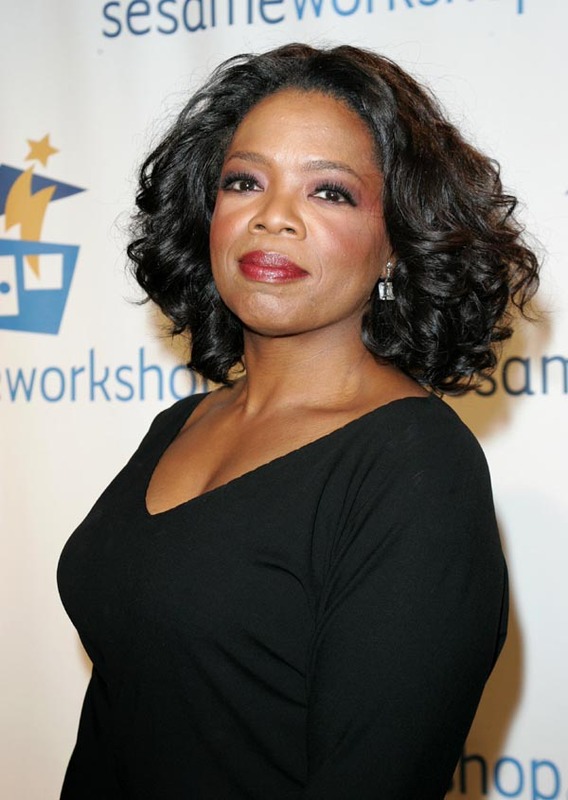 Oprah, I'm not exaggerating when I say this: everywhere I go, women's groups, teenage girls and the heads of eating disorder clinics ask me, "Why does Oprah have such a problem with her body?" Of course, I can't answer the question, because I don't know you like that, but I can say it seems to be a problem for a lot of women. With your influence, you have a prime opportunity to be a role model for millions of women that don't "fit the ideal." What if, instead of engaging in yo-yo diets, you simply said on one of your shows, "I'm beautiful, exactly the way I am"? You would instantly raise the self-esteems of millions of women. Or if you wanted to take a different approach, what if you said, "I know that I'm beautiful the way that I am, but I went to the doctor the other day and because of the extra pounds that I have, my blood pressure is a little high, so even though I'm beautiful, I need to lose 15 pounds for health reasons." Presto: Millions of women would run to the doctor to make sure they were healthy. In spending six years with "America the Beautiful," I've come to that definition of beauty myself. Beauty = optimal health. Oprah, I know we're all victims to the images that advertisers put into our heads with the utmost of repetition, that say if you're not stick thin, then you have no value. Because you live in America with the rest of us, I would imagine you're not immune to the bombardment of media images either. I wish you could make yourself invisible and travel with me. You'd get a chance to hear thousands of women speaking of how you're beautiful, exactly the way that you are. Your millions of fans don't care if you're a size 4 or a size 40, they care about what's coming from your heart. Times are tough and women need you. We're in the middle of a recession so fierce that people are losing their jobs faster than the speed of light. And when you can't pay your bills and are facing insurmountable challenges like putting food on the table, the one thing that you should have is a healthy self-esteem. I had the president of one of the biggest women's groups in Philadelphia complain to me two weeks ago about an episode of one of your shows. This is the one where you talked about being in a picture with Cher and some other celebrity. You said," standing next to them, I felt like a fat cow." Oprah, NOOOOOO! You shouldn't say things like that on your show, even if you feel it. One of the things hurting young girls today is their parents (you are a like a mom to a lot of women) criticizing their bodies. When you said that, imagine how women felt that are your size. Then some woman told me you came out on your show carrying a red wagon full of fat, that represented massive weight loss. With love, I'm telling you that type of talk and behavior is tantamount to being reckless and it does a lot of women a lot of harm. In an era where advertisers get 20,000 impressions a week over a teenage girl's mind compared to her parents' 2,000 impressions, we need you to be a role model to women when it comes to body size and self-esteem. I met a 17-year old girl in Fargo, North Dakota that told me she had gained weight, lost weight, gained weight, lost weight and she'll get it right one day. When I told her doing that was unhealthy, she said, "What do you mean? Oprah does it." As I write this, I'm sitting here with a woman who just shared another story with me. She said she was in a supermarket and read in some magazine that you were upset that you'd gained your weight back. She said her first thought was, "That's why we like her. She's just like us." Then she said a few minutes later she thought, "With Oprah's resources she should be able to live a healthier lifestyle to set a better example for us." Oprah, when I look at your various accomplishments, it's more than clear to me that you have the wisdom and resolve to overcome this issue and set women on the right path. I'm personally begging you to do it. Keep in mind that I normally don't beg. It's just that I've become something like an activist for women after doing this film. I don't have nearly the reach that you have, but I'm willing to do what I can. I know you may read this and tell me to jump in the lake and I can understand that. Just remember, I'm writing this to you as a human being, not a billionaire, not a mega talk-show host, just a human being. On a level where we all must learn to exist. Oprah, if you'd like for me to share with you the countless stories of devastation wreaking havoc on young girls across the country, that have been shared with me, I would be glad to. I live in Chicago. I will meet with you at any time. But for now, please, for all of our sakes, stop the dieting on your show. It tells way too many women that it's okay to go on unhealthy yo-yo diets. Thanks for listening!